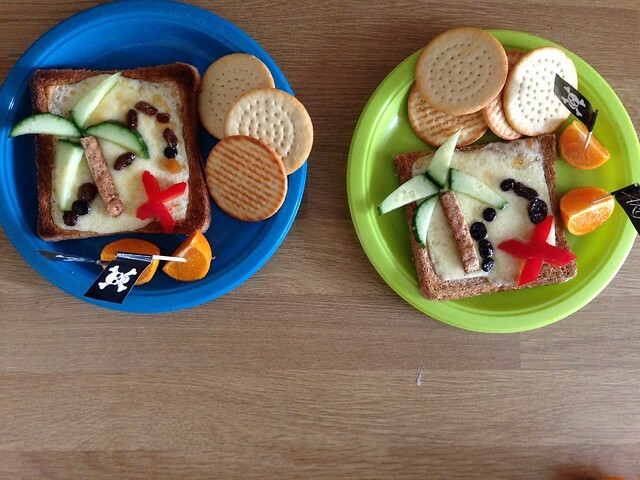 Pirate treasure map cheese on toast (with cucumber, raisins and pepper), orange boats, cheese crackers and buried treasure! 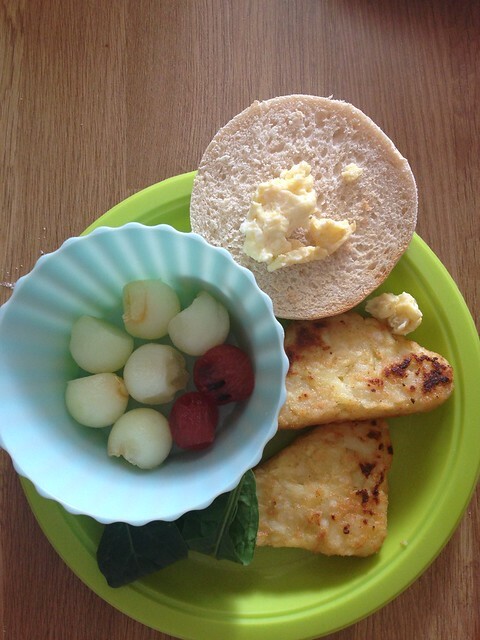 Hash browns, scrambled eggs on an English muffin, spinach (more dinosaur food!) 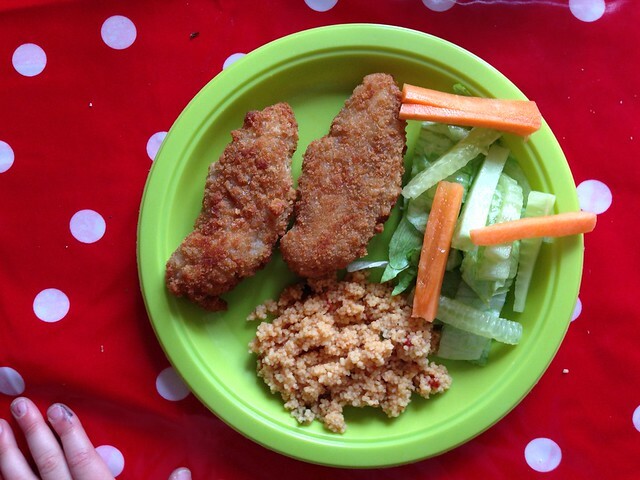 & melon balls. 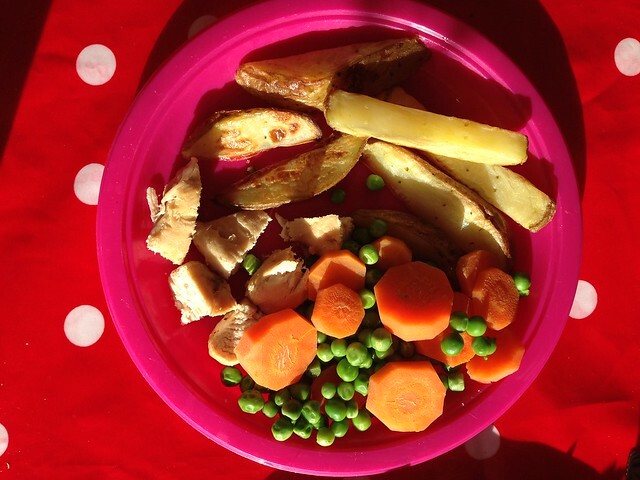 Homemade potato wedges, baked chicken breast, peas and carrots. 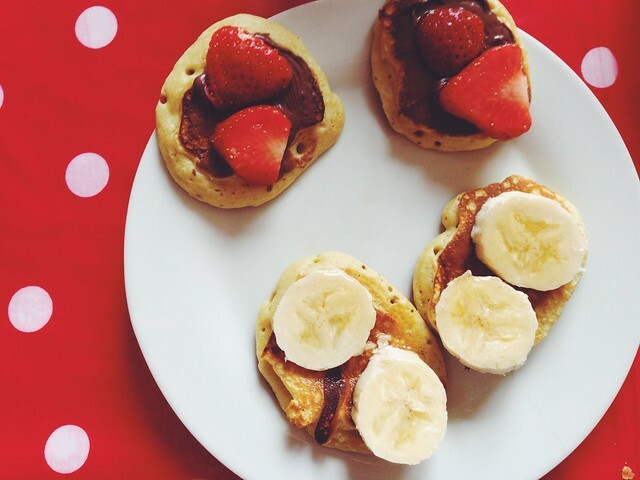 Pancakes with Nutella and strawberries, and banana with maple syrup. 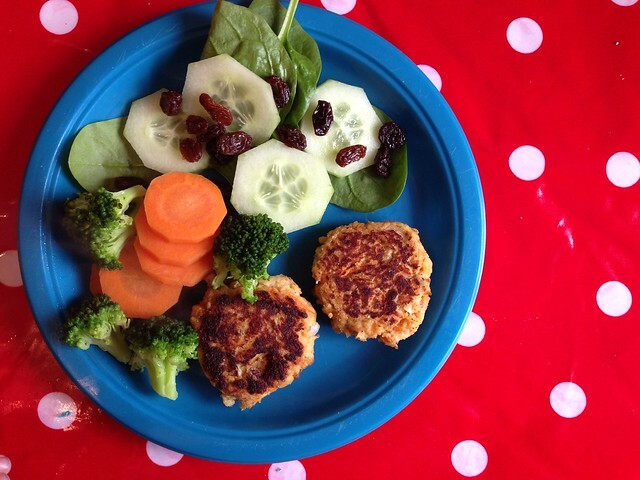 Salmon patties, broccoli, carrots, spinach, cucumber and raisins.